The problem with Garage Rock is that I really don’t like Garage Rock. The closest I get to liking Garage Rock is liking Brian Jonestown Massacre, and that’s pretty much only cz he rarely ever uses any garage rock aesthetics at all, only employing that blown out feel for emphasis, not, liiike, the main objective. Am I biased? I am obviously biased. There’s a picture somewhere of me on a bridge by Southgate House, situated along the OH/KY border, where I’d almost eaten two Comet Bar, jerked-tofu super burritos. I lay defeated, supine, fuzzy head but three filthy feet from oncoming interstate traffic, a fully-automatic 35mm camera clasped atop my too-tight-fitting blank-black t-shirt’d chest. a pukey/snarling face squints back at the observing lens hovering over me. I’d fashioned myself a young Bob Dylan, but, really, waaaaay uglier. K & I made it to the Datsuns show and I realized that, even with a full gut’s worth of the world’s best vegan burritos in internal tow, no matter how daunting, garage rock was still not my thing. I tried. I’ll always try. If garage rock is your thing, please click on the links below. 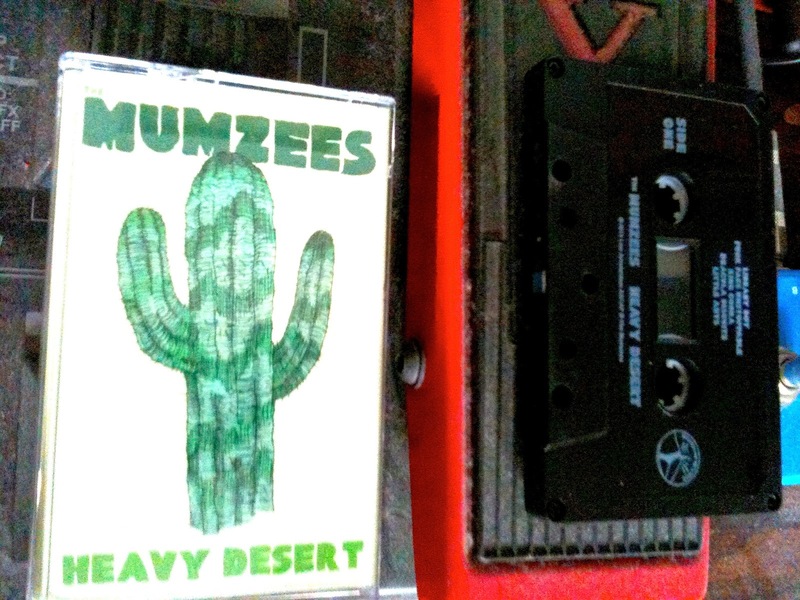 The Mumzees follow all the rules very, very well, and the mixing is heavy enough to make even grumple-pusses like me nod my head on cue. At one point, there’s a cool noise sample thrown in somewhere and I liked that, but, pretty much, this just isn’t my thing.